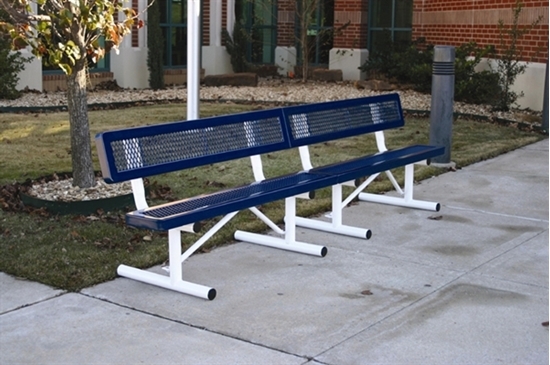 Bench With Back 10 foot Plastic Coated Regal Style, Portable, 196 lbs. 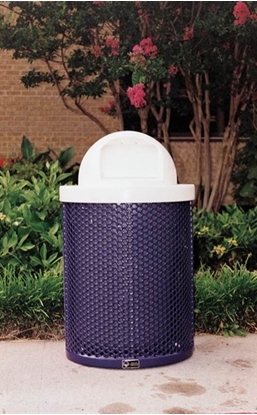 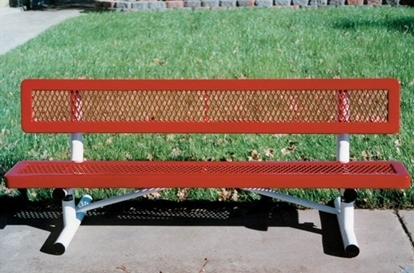 This 10 foot regal style bench features seats made of 3/4" expanded metal welded inside 2" x 2" inch angle iron frame with round corners and a durable plastic coating known as thermoplastic. 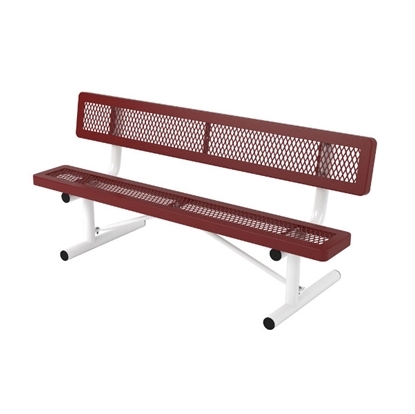 Comfortable 10.5" wide seating and two bolted together sections with four 2 3/8" legs, make this bench perfect for schools and parks. 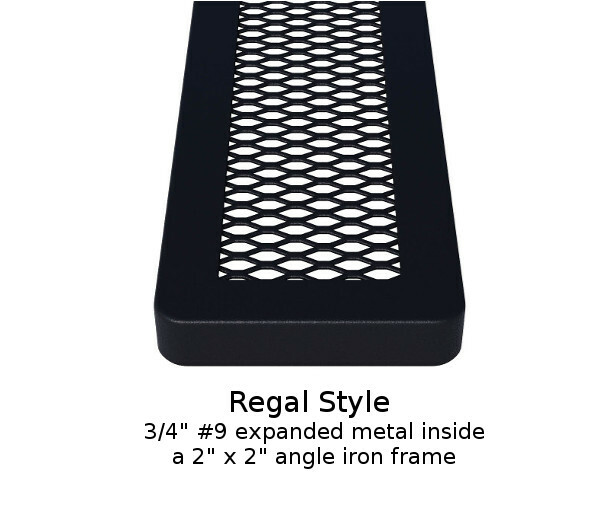 Portable for your convenience. 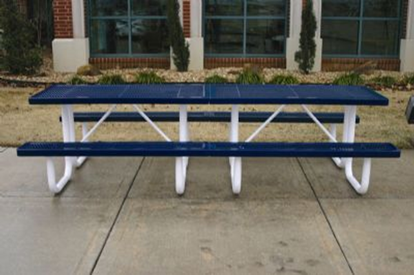 Rectangular Commercial Picnic Table with a 10 Foot Plastic Coated Expanded Metal Top and Portable Frame, 327 lbs.